Pregnant women in Hong Kong are entitled to a continuous period of 10 weeks’ maternity leave. This is 4 weeks less than the 14 weeks recommended by the International Labour Organisation (ILO). Here is your Healthy Matters guide to everything you should know about maternal leave in Hong Kong, from eligibility to mat leave pay calculation. 1. What does the law say in Hong Kong on maternity leave? Under Employment Ordinance, Cap. 57, a pregnant woman employed under a continuous contract immediately before the commencement of her maternity leave and having given notice of pregnancy and her intention to take maternity leave to the employer is entitled to a continuous period of 10 weeks’ maternity leave. 2. Am I eligible for maternity leave pay? In order to be eligible for maternity leave pay, you must have worked under a continuous contract for 40 weeks, working a minimum of 18 hours per week (listen up, part time workers!) before your scheduled maternity leave starts. 3. I have worked for my current employer for fewer than 40 weeks, am I eligible for maternity leave? If your period of continuous employment is short of 40 weeks, you are only entitled to an unpaid 10-week maternity leave. 4. How do I give notice to my employer that I am pregnant and want to take maternity leave? You need to provide notice of your pregnancy and intention to take maternity leave to your employer once pregnancy has been confirmed with a medical certificate – if required by your employer, the certificate should specify the expected due date. This certificate may be issued by a registered doctor, Chinese medicine practitioner, or midwife. 5. When do people usually inform their employers? Is there any mandatory timing? The law does not specify a minimum period within which an employee must give notice of her pregnancy. 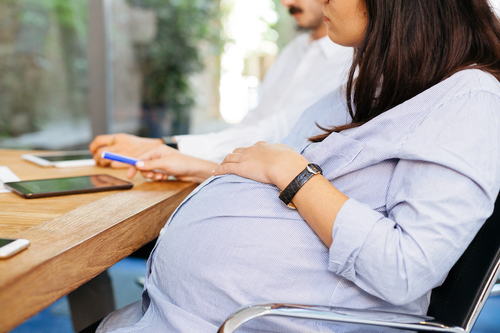 However, the communication of notice of pregnancy to an employer will operate to protect an employee’s employment from being terminated by her employer (by notice or payment in lieu) from the date of the notice until the employee returns to the workplace at the end of the maternity leave period. Therefore, it is always recommended that such notice be given sooner rather than later. 6. Am I entitled to any additional maternity leave? In case of birth and/or pregnancy-related illness and disability, you may be entitled to a maximum of 4 weeks of additional maternity leave. This is in addition to your sick leave entitlement. Some large employers in Hong Kong may provide an increased paid maternity leave of 14 or 18 weeks with most generous leave at 20 weeks. If your baby is born later than their due date, the period between the expected due date and the actual birth date will be provided as leave IN ADDITION to the 10 weeks of maternity leave. This sounds like a holiday, but as any woman who has been 40+ weeks pregnant, this period is no walk in the park! It should be noted, however, that any extended maternity leave due to late delivery and/or illness or disability will be unpaid. In the event that you are unable to work due to an illness or disability, you may take choose to take statutory sick leave instead. 7. How is my maternity leave pay calculated? When will I be paid? The daily rate of maternity leave pay is calculated at 80% of your average daily wages earned in the 12-month period leading up to the first day of your maternity leave. If you were employed for a period between 40 weeks and 12 months, the calculation is based on such shorter period. You will receive your maternity leave pay on your normal pay day. 8. When does my maternity leave start? Pregnant women in Hong Kong begin maternity leave 2-4 weeks prior to their expected due date. If you don’t agree on a date with your employer, by default the 10-week leave starts 4 weeks before the expected due date, giving you six remaining weeks of maternity leave after the baby is born. If your baby is born early, your maternity leave begins immediately. 9. Will I need to take leave for appointments related to my pregnancy? If you are absent from work to for doctor’s appointments related to your pregnancy, post-confinement medical treatment or miscarriage, those days will be counted as sick days or partial sick days. Similar to maternity leave pay, sickness pay is calculated at 80% of your average daily wage leading up to the sickness day. You will be entitled to sickness pay for days off taken for pregnancy check-ups, post confinement medical treatment or miscarriage provided that you produce a medical certificate and you have accumulated sufficient number of paid sickness days. The medical certificate should specify the number of days on which, and the nature of the sickness or injury makes you unfit for work. 10. How is Hong Kong’s maternal leave compared to other countries? We’re below the ILO’s recommendation of a 14-week maternity leave minimum, but how do we stack up to other country’s policies? As you can see in our table of comparison countries, with the exception of Korea, most comparable countries in the region and the world have met the ILO’s recommendation. In 2012, China increased maternity leave to 14 weeks with 100% of wages covered. While some larger employers are choosing to offer extended maternity leave, the government of Hong Kong is not keeping pace with the global standard.